Submitted Photo Dunkirk’s Bella Surma strikes the ball during Friday’s singles match against Emily Bauer of Chautauqua Lake. Surma won, 6-3, 7-5, as part of a singles sweep, the second this week for the Lady Marauders. The Dunkirk Lady Marauders girls tennis team won its first home match of the season, 4-1 over Chautauqua Lake, on Friday night at Dunkirk High School. The win was Dunkirk’s second singles sweep of the week, as Bella Surma, Hannah Saye and Gabi Loeb each won in straight sets. 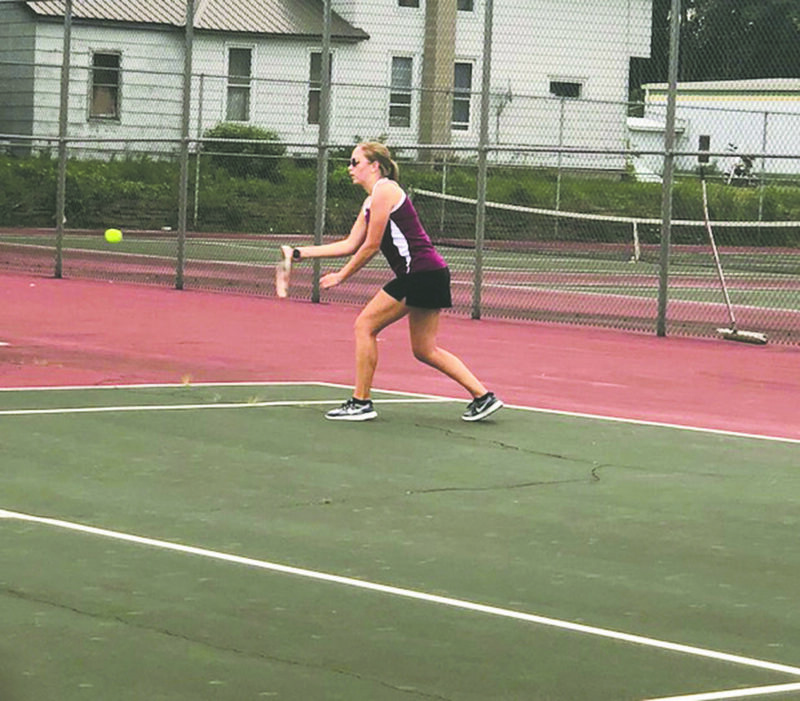 Zoe Loeb and Hannah Sanchez won their doubles match for the Lady Marauders, while Elise Reidesel and Naomi Fisher of Chautauqua Lake defeated Cameron Harper and Tiffany Lynch of Dunkirk for the Lady Thunderbirds’ lone win of the day.